Who could use a girls night out? I know I sure could!! Well, here is your chance to enjoy a fun night out with your girlfriends compliments of NBC! refreshingly honest and provocative series follows a unique ensemble. after The Voice – only on NBC. The screening will be held on this Thursday, September 15 at 7:30 PM at the Ritz at the Bourse. There will be fun prizes and complimentary concessions! 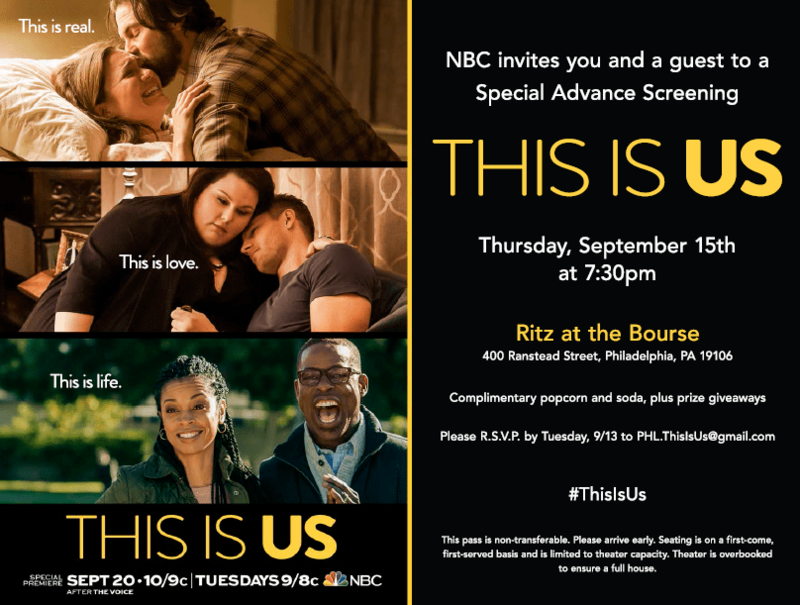 If you would like to attend, please RSVP by the end of the day today, 9/13/16 to PHL.ThisIsUs@gmail.com Please note that guests must have an RSVP and will be admitted first come, first served seating basis. Be sure to arrive early to be sure that you get a seat! 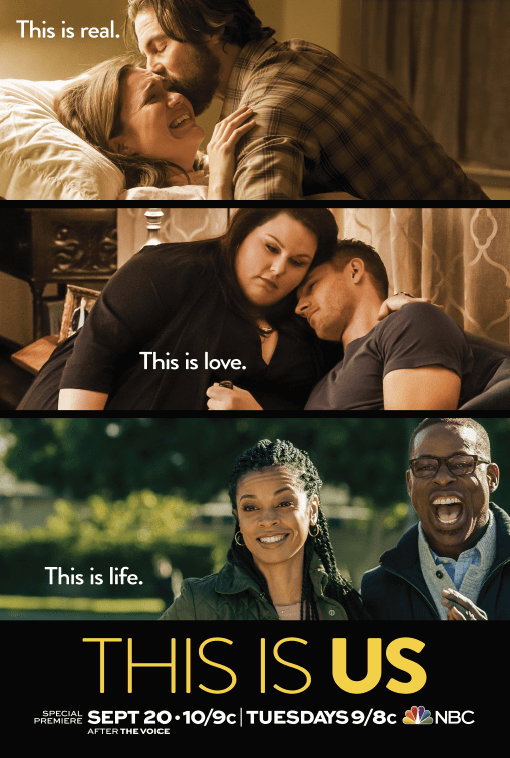 The Series Premiere will air on NBC September 20th at 10 PM Be sure to follow on the THIS IS US webpage and Social media pages – Facebook, Twitter, Instagram and Hashtag #ThisIsUs- to be kept up to date on what’s to come!